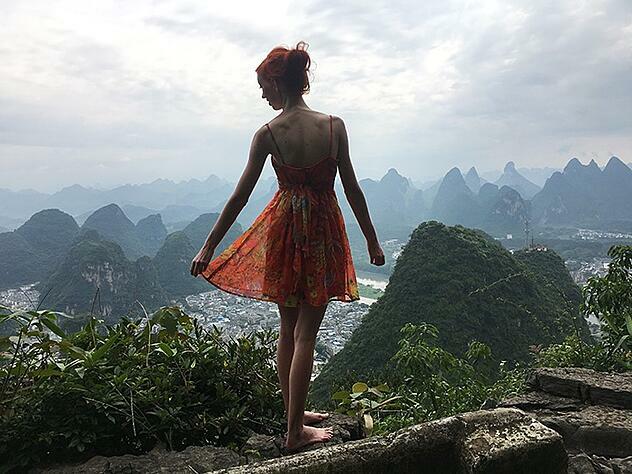 Yangshuo is one of my favorite China travel destinations - and pretty much every ILP volunteer who has spent a semester in China agrees with me! It's also home to some of the best scenes for your Instagram photos and this is a really easy spot to get a great shot. 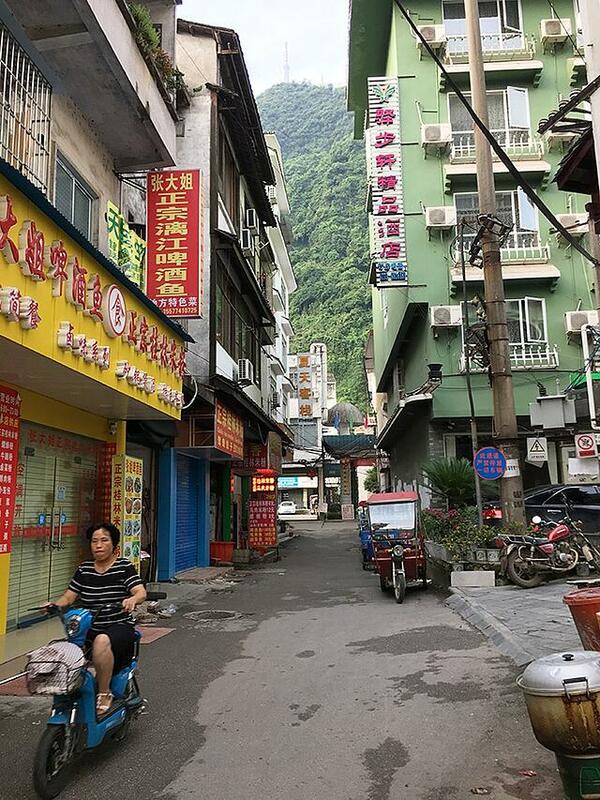 Yangshuo is the cutest little Chinese town famous for river rides on bamboo rafts, rolling mountains nicknamed the "Dr. Seuss" mountains, and rice fields. 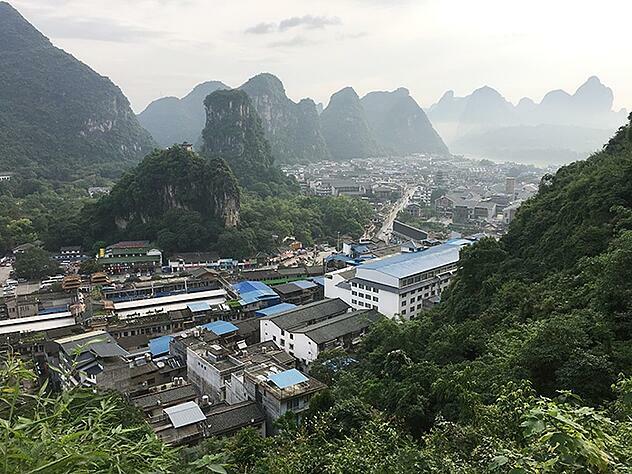 If you love outdoor adventure, come to Yangshuo! 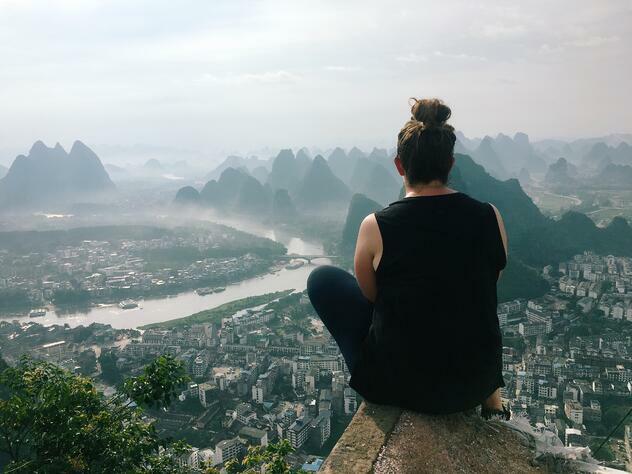 There's a few places where you can get incredible view points (like this one in nearby Xingping). But this viewpoint I want to tell you about is the TV tower hike. 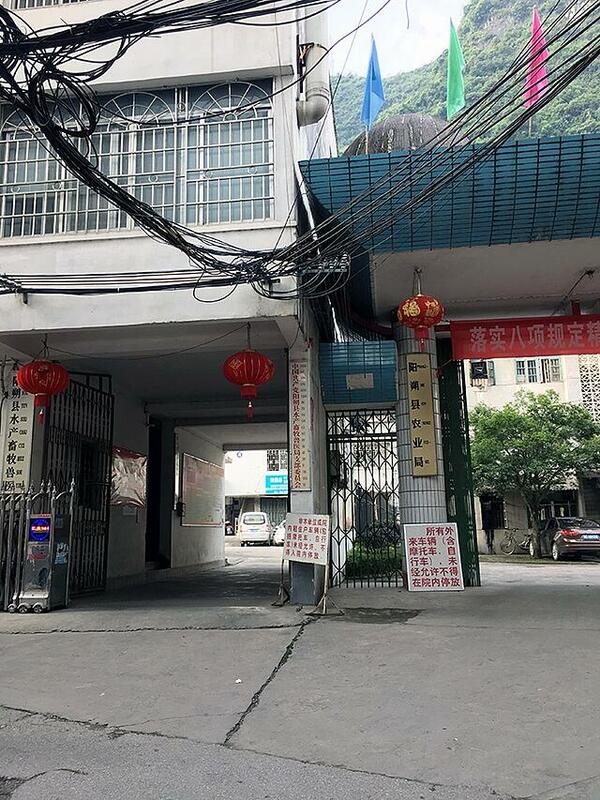 The TV tower hike is named what it is because there's a couple TV towers up in the hills right in Yangshuo town - and there's a path that you can hike up to one of them. The best part about this particular hike is that it's within walking distance from West Street! West Street is where you're going to want to be if you're in town, so find a hostel as close to West Street as you can get and then you're within walking distance to this hike as well. Easy peasy. You can get 360 degree views of the mountains from the top and it is stunning. When I came home from my trip, everytime someone asked me about how it was they always said, "I saw that pic of you with those mountains. What was that?? That was so cool." It's a hit. If you haven't gotten your trip to China planned yet, consider teaching English in China! 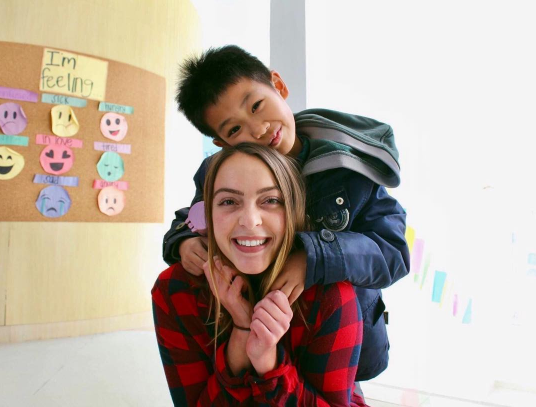 You can get started with your application to volunteer with International Language Programs by clicking here. Like I mentioned, you can walk there from West Street. You'll have to walk through a neighborhood before you get to the start of the trail. There's no signs and there's no way you'll find it unless you have directions ... so I tried to make it as easy as possible with photos below at every turn. It's actually easy to get to it, you just need to know where to go! Make sure to take these directions with you so you can find the hike (don't try to just wing it). Coming from West Street, head right on Pantao Road. Pantao is the busiest road that runs through the city perpendicular to West Street so you can't miss it. All of West Street area is pedestrians and motor bikes - so Pantao is the first road you come to with all the car traffic. Past the round-a-bout there's a couple pedestrian overpasses, so use that to cross the street. 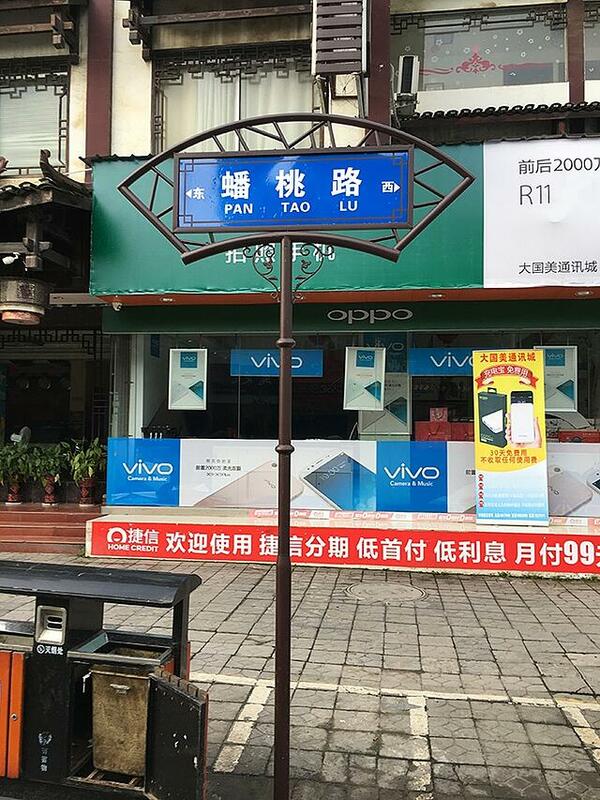 When you come to Tianma Xiang street, turn left. 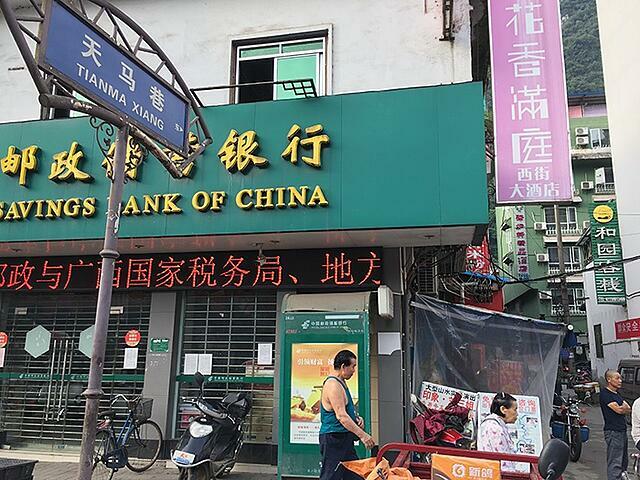 There's a Bank of China on that corner, so just look for that bright green building with the yellow lettering and turn after that. When you turn left this is what you'll see. This area is a neighborhood, so the only tourists here (like you!) are going for this hike. You'll see locals, homes, a few cars, and a couple shops. Be ready to jump out of the way if you hear a motorcycle coming because they're not expecting tourists here. Keep walking straight on that road as far as you can, then when you come to a couple gates follow the road to the left. After turning left you'll come to more gates that look like the photo above. Turn right at the gates. 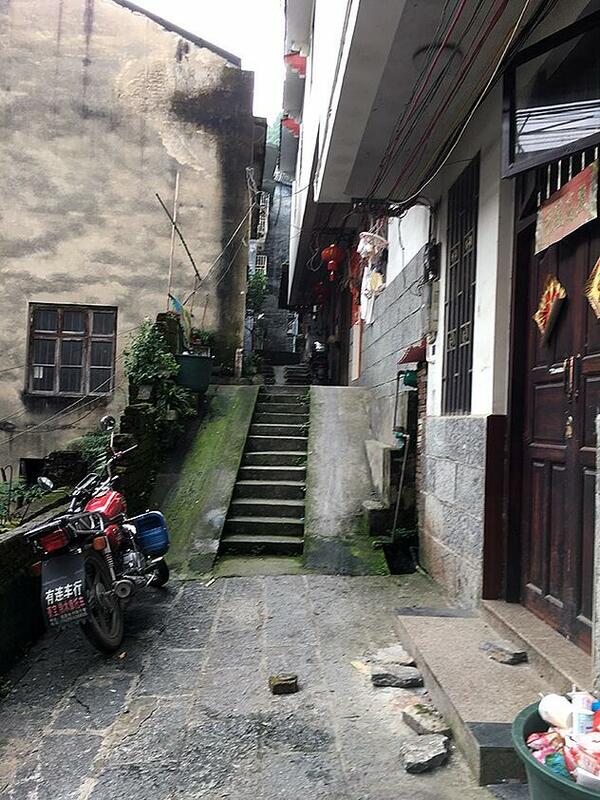 The street gets more narrow and steep here. Keep following the street up the hill. When you get to the top of the street and see this green gate, turn right. 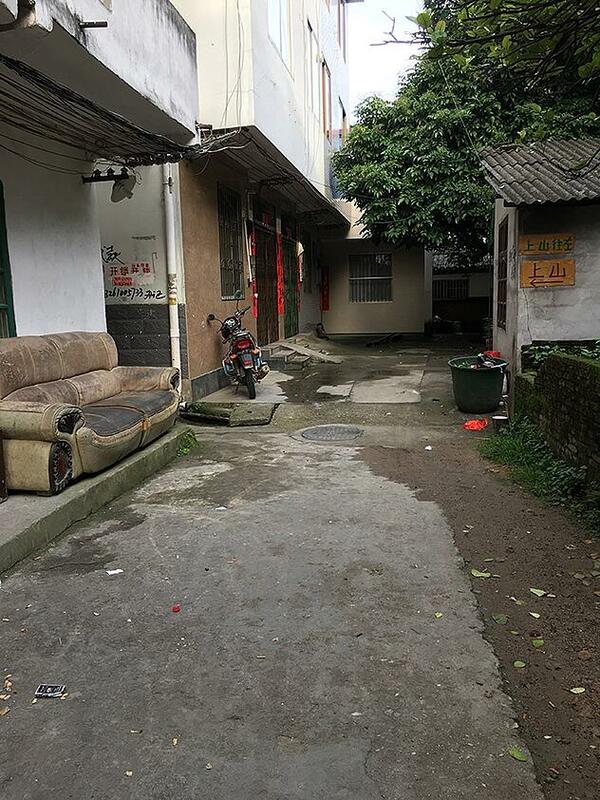 You'll see a row of homes and you might even see some old couches out front. We paused here not sure where we were going and an on-looker waved at us to go the right direction. There's definitely no reason for tourists to be up here, so they know you're looking for the hike! Turn left into the alleyway at the end of the street. In the photo it's just after the couch. 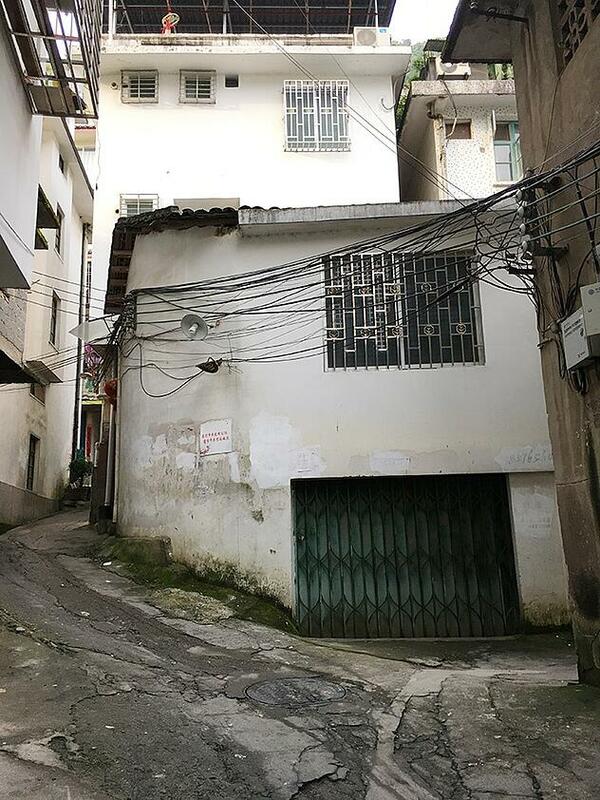 You'll see yellow signs here on the right that point you towards that alley. When you see this alley you know you're almost to the trail head! 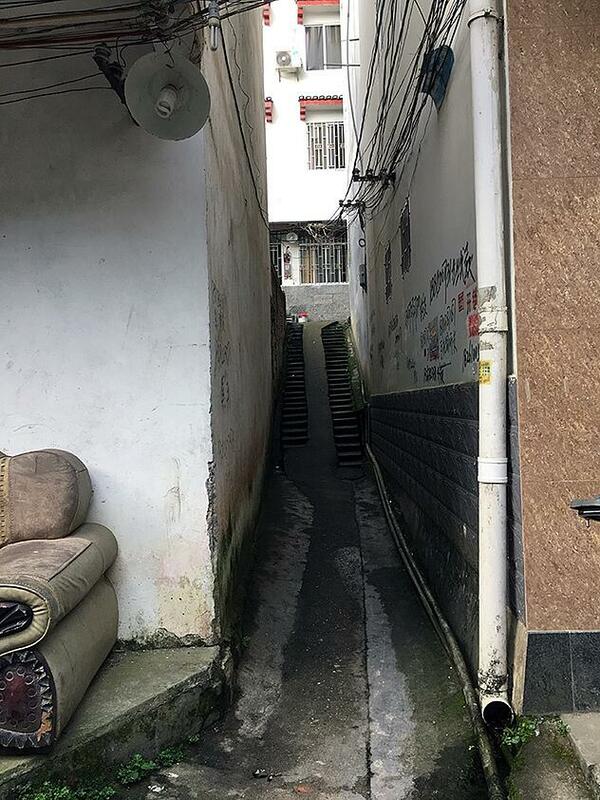 Head up the stairs and turn left. 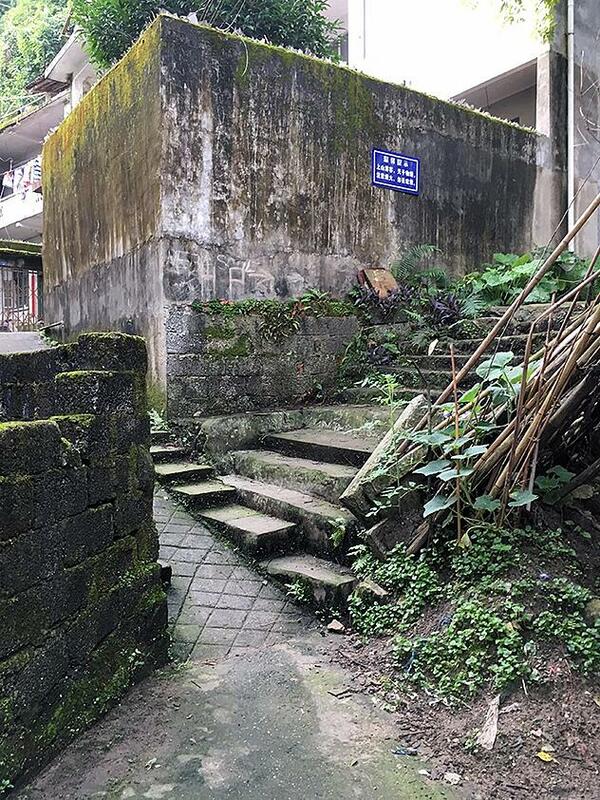 You'll reach another set of stairs and just keep heading straight. Once you see some more stairs heading towards the right, this is the start of the trail...you made it! You're going to be out of breath before you even start on the trail, but don't be discouraged because this is where the views start getting oh so good. Head right up the stairs and the path will be clear from here on out. The trail is strenuous. It's straight up for the majority and the humidity is what really adds to it. Just take it slow. The views are beautiful on the way up so take water breaks and enjoy it. Once you see can start seeing the TV tower in the distance you know you're getting closer. Someone actually lives at the TV tower, so there's a gate when you get to the top. 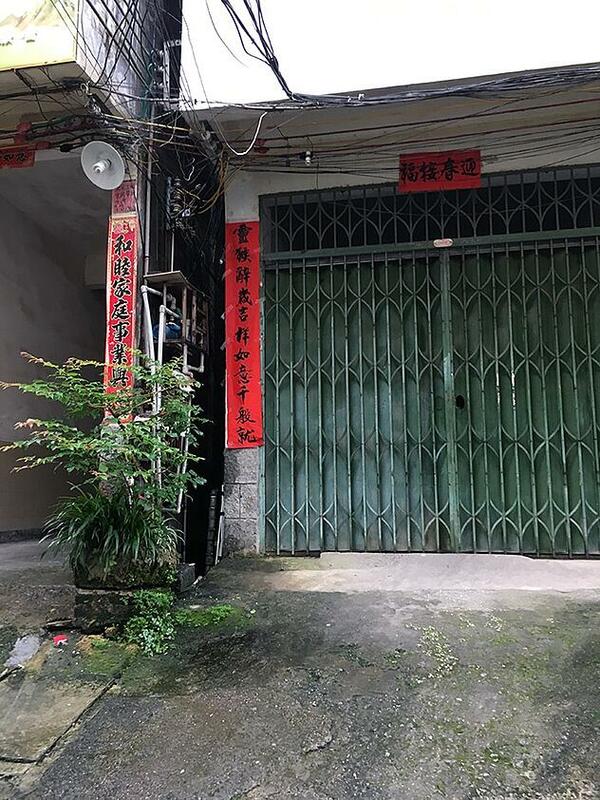 He'll let you in for a fee of 10 yuan and then you can walk through to see the great 360 degree mountain and city views of Yangshuo! Here's some tips to help you know what to expect! It took me almost an hour to get to the top (starting from West Street) - and that included several water breaks. I'd recommend going in the morning so it isn't as hot and there won't be as many people either. So, plan for 2-3 hours depending on how slow you hike and how long you want to sit and enjoy the view at the top. Bring bug spray if you've got it. I got lots of tiny bites along the hike. Be careful! Bring lots of water. The humidity combined with the steep hike means you need to take care of yourself. Also, the viewpoints from the TV tower isn't guarded all around. You really need to watch your step and don't put yourself in danger for a perfect photo, okay? I love China and the people there! You really can't experience everything (the culture, the friendly locals, and the jaw dropping destinations) in a short trip. 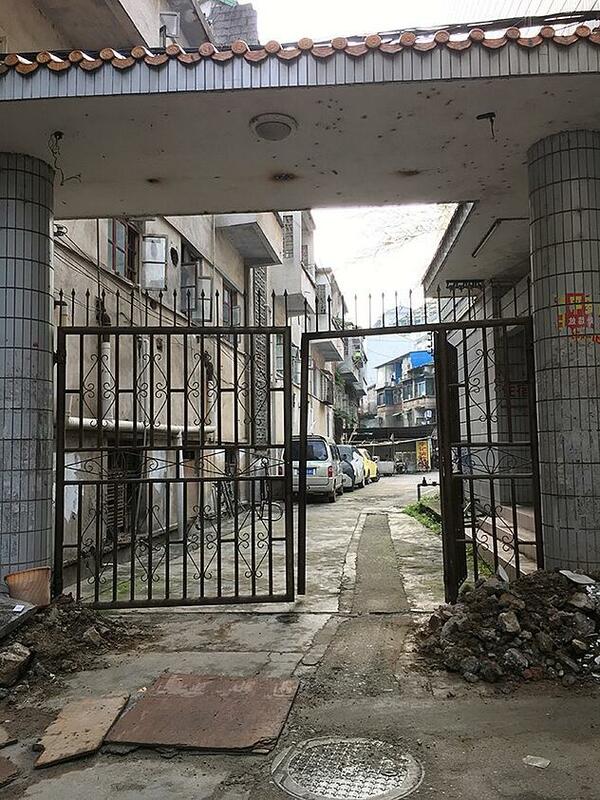 Volunteering in China for a semester is the perfect way to really see it all. ILP has volunteer opportunities for you to teach English to children there. 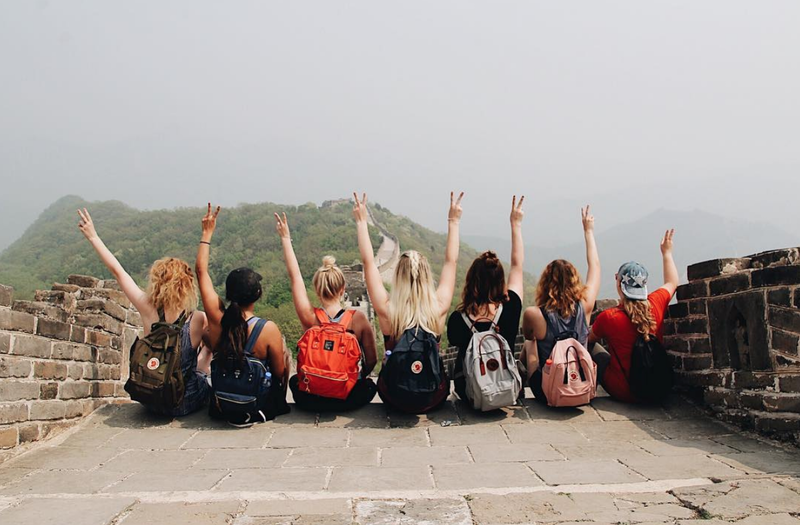 You don't need experience, they set you up with everything you need, and just you get to focus on exploring China with your group and making memories that are life-changing. Click that green button to download a free e-book "A Day In The Life In China" to get an idea of what life is like volunteering with ILP.